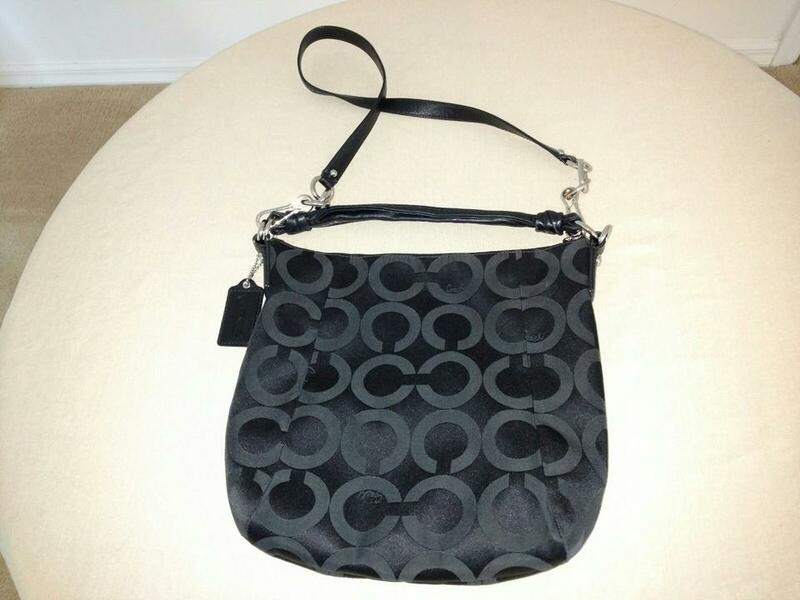 Very nice black Coach Signature Bag in lovely jacquard material. Softer than canvas. 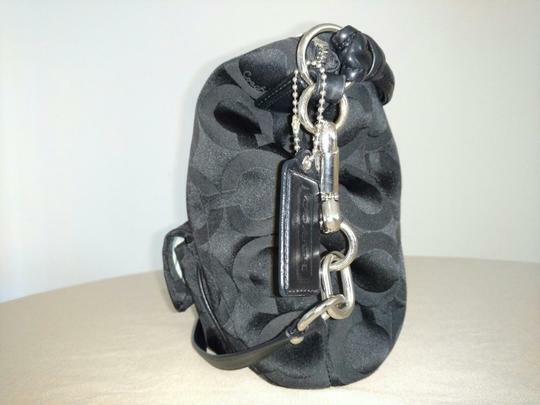 Black leather 14-inch strap with silver chain accents can be worn as cross body as well. 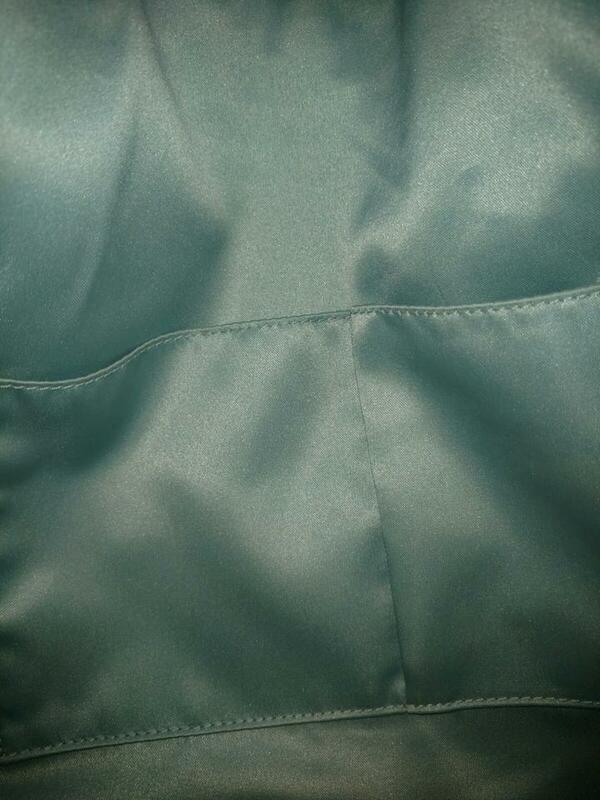 Soft leather carry handle. 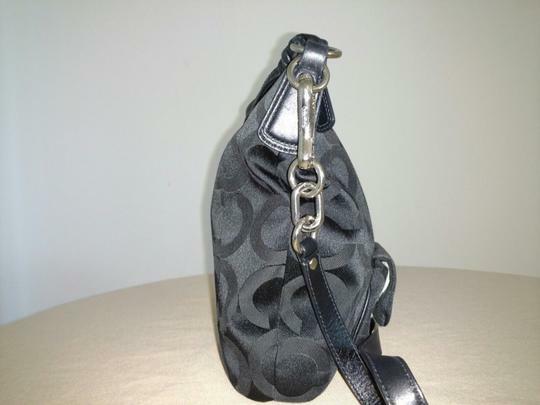 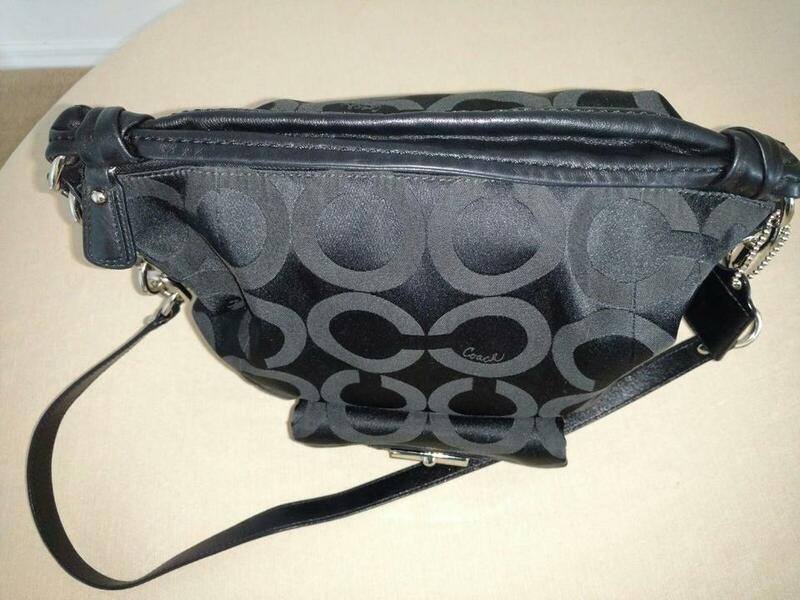 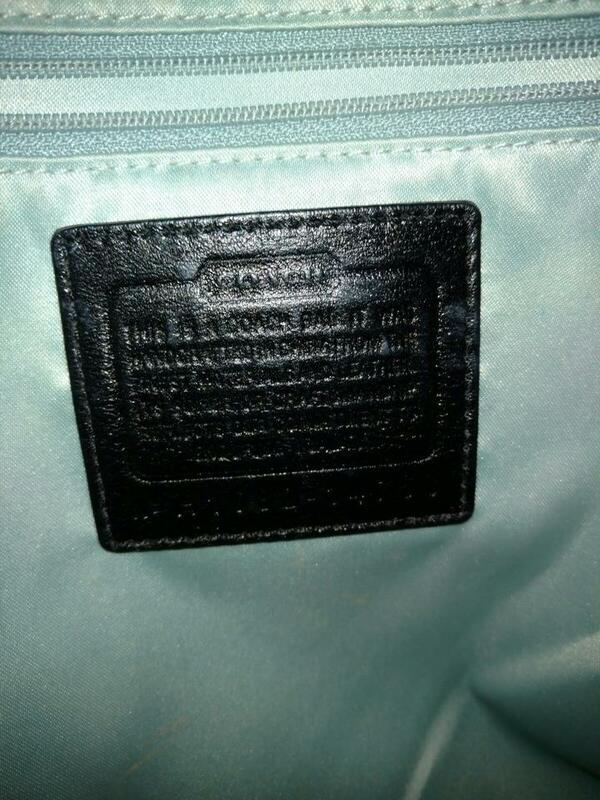 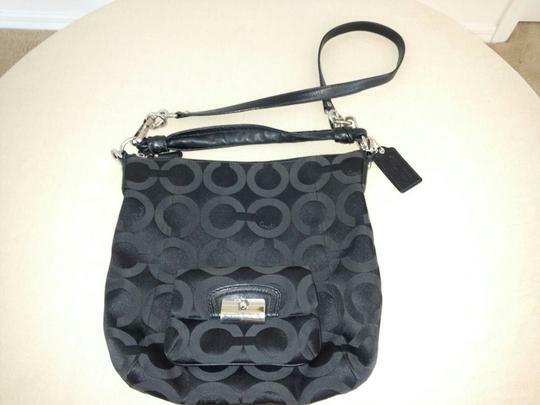 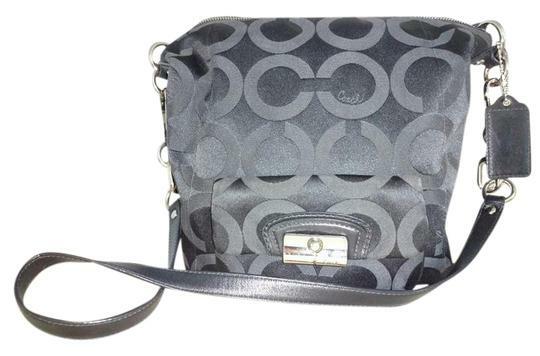 Bag also features front flap snap close pocket bearing silver accent with Coach logo. Zippered pocket inside as well as two open pockets for your compact or phone. 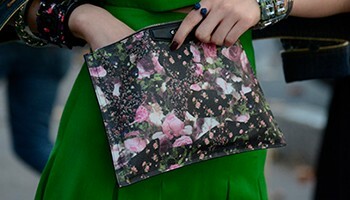 This is your day to dinner bag.